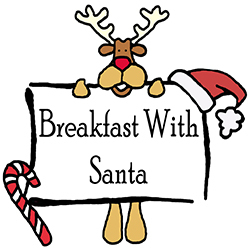 Come join Santa & Mrs. Claus for a delicious egg and sausage breakfast with pancakes. Children ages 3-10 - $5; under 3 are free. Reservations required. Photos for purchase too. See Website for info.